The Amana 22in. 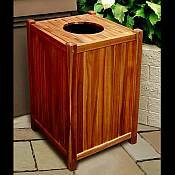 Trash Receptacle will make the perfect addition to your outdoor entertainment area. 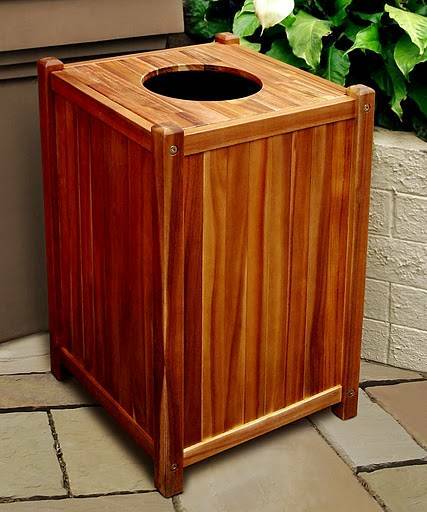 Made of premium plantation teak, this trash receptacle provides an attractive and convenient place for family and friends to dispose of waste outdoors. 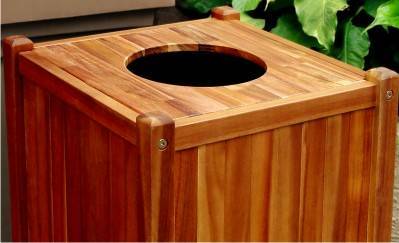 Contains sturdy liner, vented removable bottom and open lid. 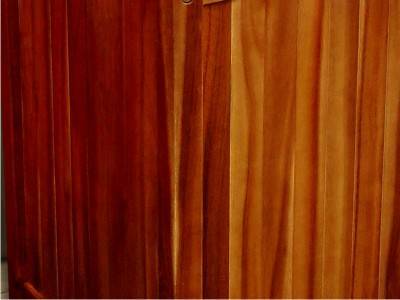 Plantation teak is grown in sustainable production throughout the seasonally dry tropics in forestry plantations. Plantation grown teak is not exactly the same with the old-growth teak, which is reputable for durability, structural strength, attractive appearance, and satiny smooth surface. However kiln drying allows for sustainable, plantation-grown teak to perform nearly on par with old-growth teak. 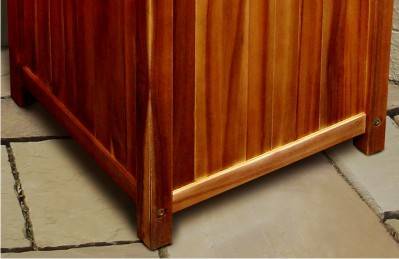 Similar to the old-growth teak, plantation-grown teak has a rich golden color throughout its grain, and provides an elegant look for any outdoor wood products. It also has a lot of natural oils that make it water repellent, insect resistant, and suitable for use in exposed locations. The wood also has the unique qualities of not rotting or accumulating rust even when joined with metal.